The young Brazilian, who has been dubbed the ‘New Neymar’ despite being the same age as the Barcelona star, is yet to make his first team debut for Arsenal and is currently on loan at La Liga outfit Almeria,his FIFTH loan spell in three years. 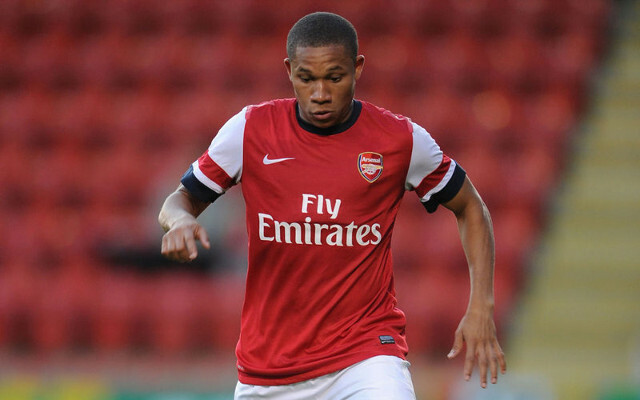 The 22-year-old winger joined the Gunners from Brazilian side Fluminense in 2010, but visa issues has since prevented him from playing in the Premier League, therefore he has been out on loan with various Spanish sides in order to gain a work permit. On the 3oth October 2014 it was confirmed that those problems had been resolved and he will be free to kick-start his Arsenal career from the beginning of next season, where he will compete with the likes of Alexis Sanchez, Theo Walcott and Alex Oxlade-Chamberlain for a wide role upon his return. “My agent told me recently that we’re dealing with my renewal. I only have a year with Arsenal.” Silva told the Metro.